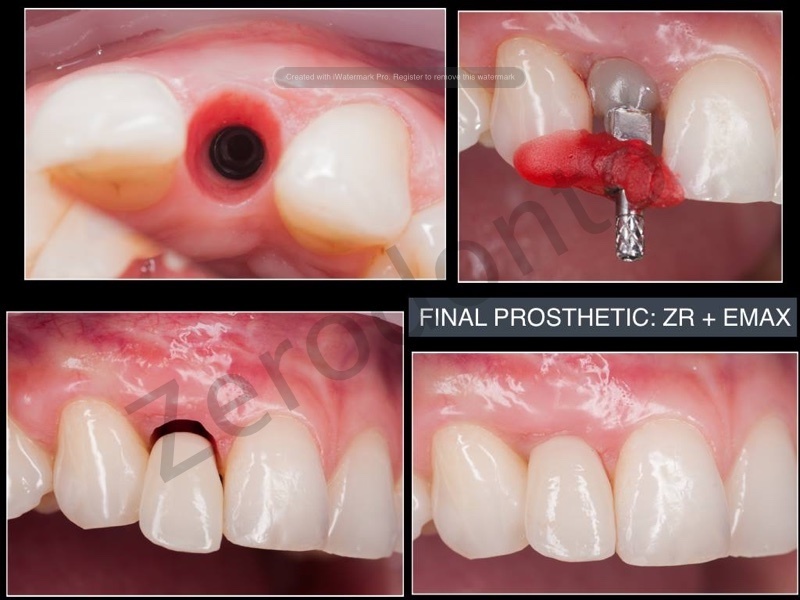 This case was a huge challenge for me. 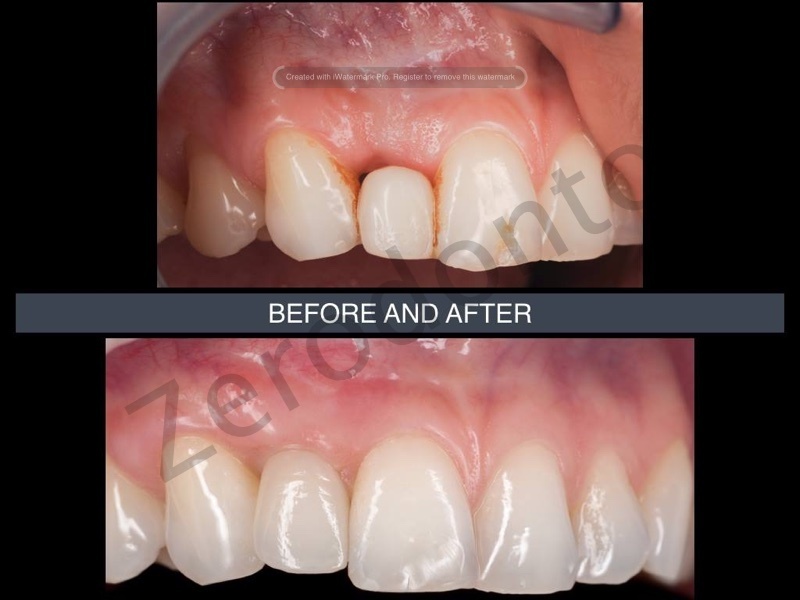 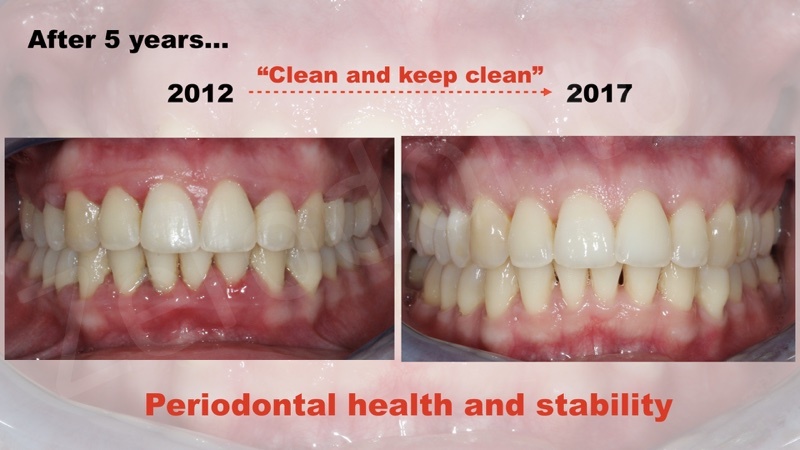 The patient is 30 years old, with a beautiful smile, but with some negative experience regarding dental treatments. 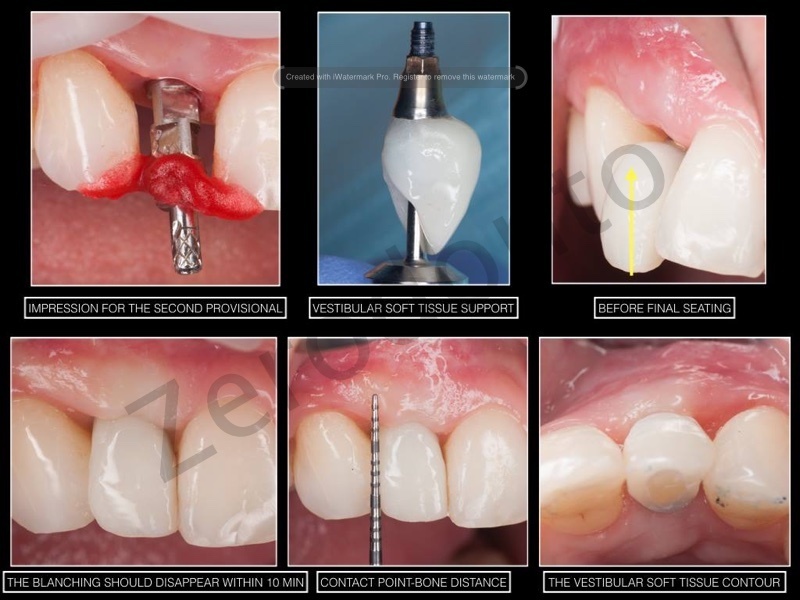 She came to my office because her right lateral incisor got fractured. 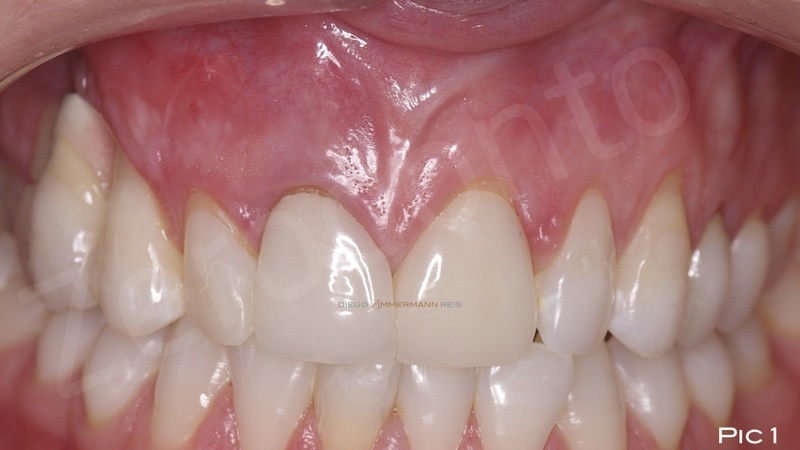 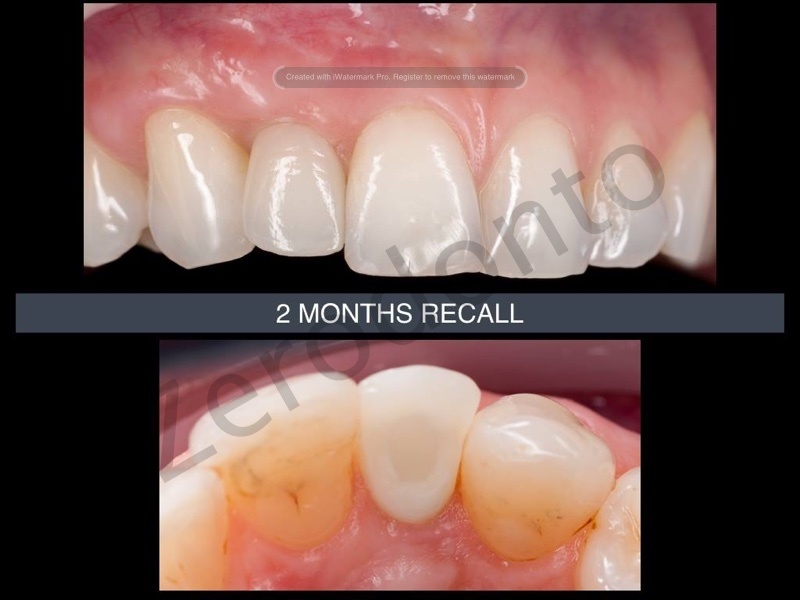 The tooth had multiple surgeries in the past, as you can see from the soft tissue scars. 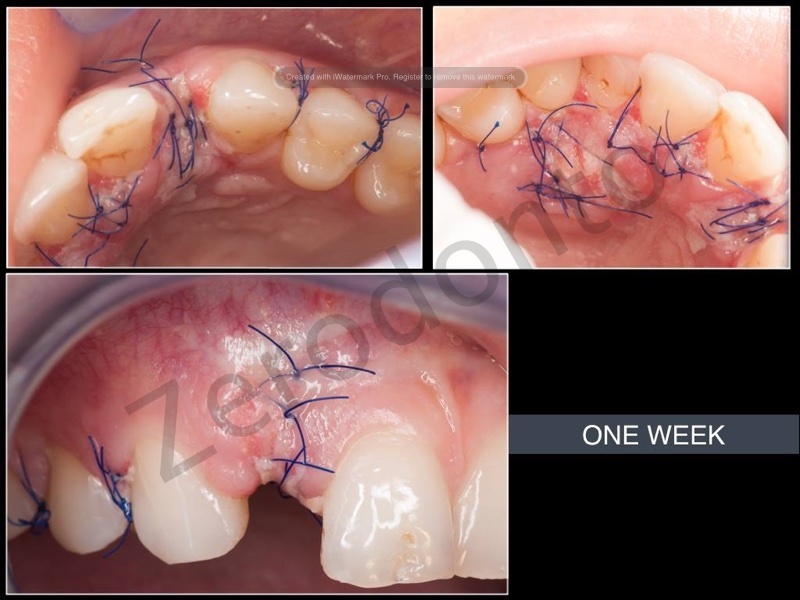 She also had orthodontic treatment, but with not a perfect result. 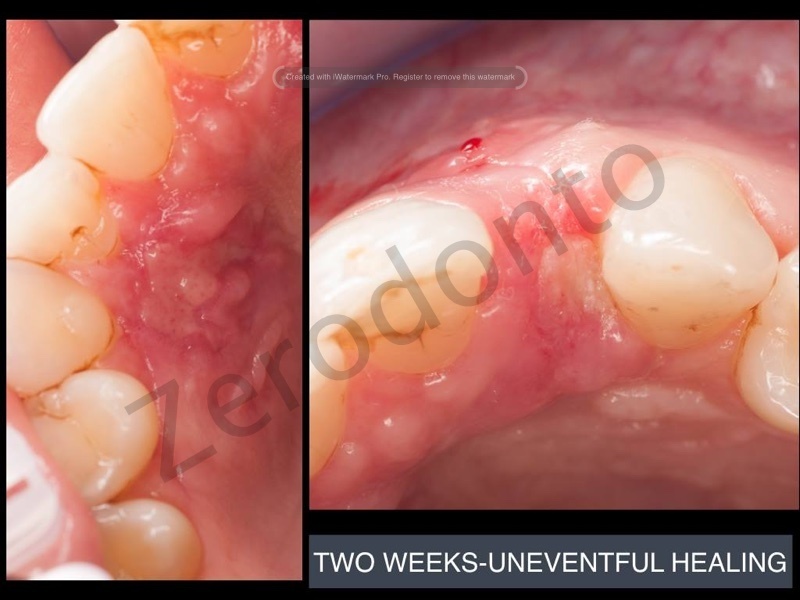 One of the major challenges was the fact she is from abroad, so she could come only for short visits. 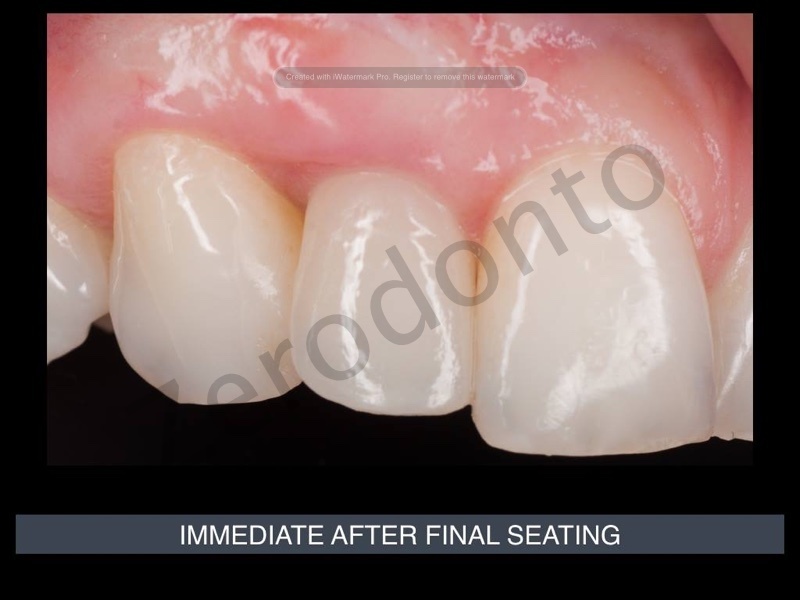 So i had to be sure that every step will be made without considerable risk. 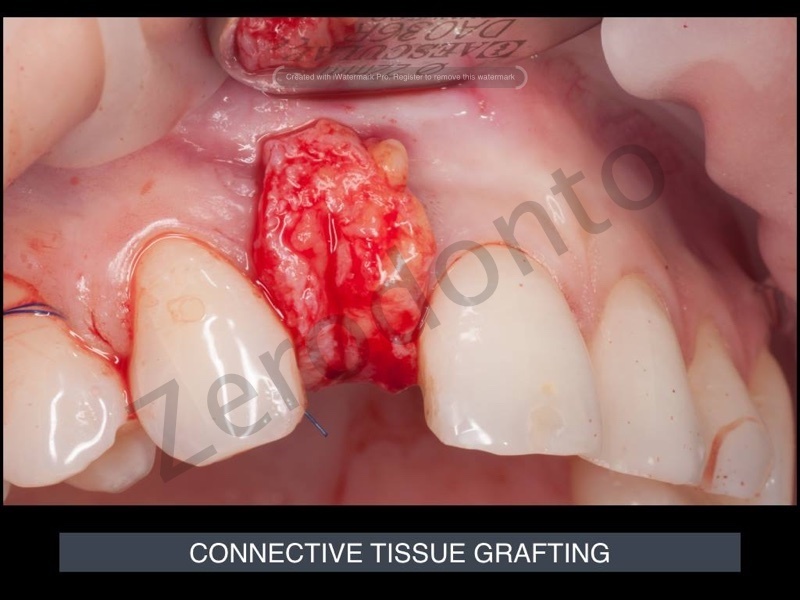 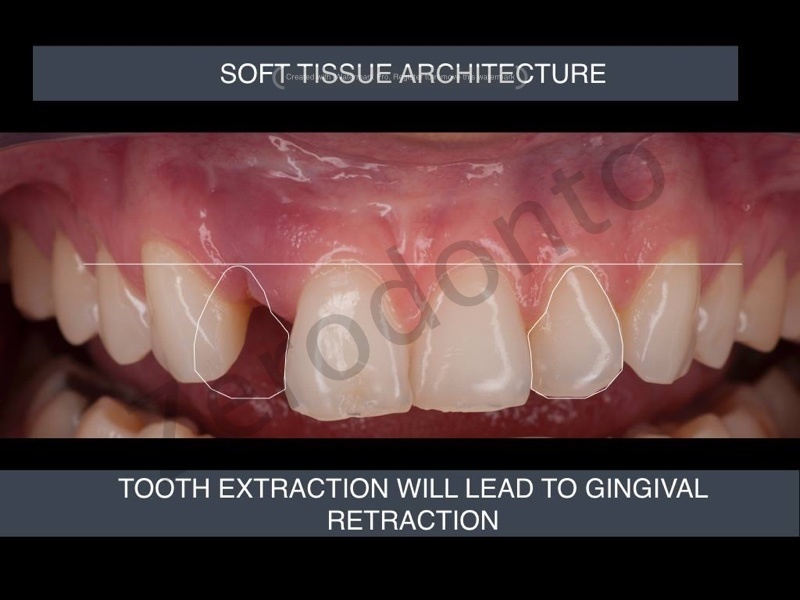 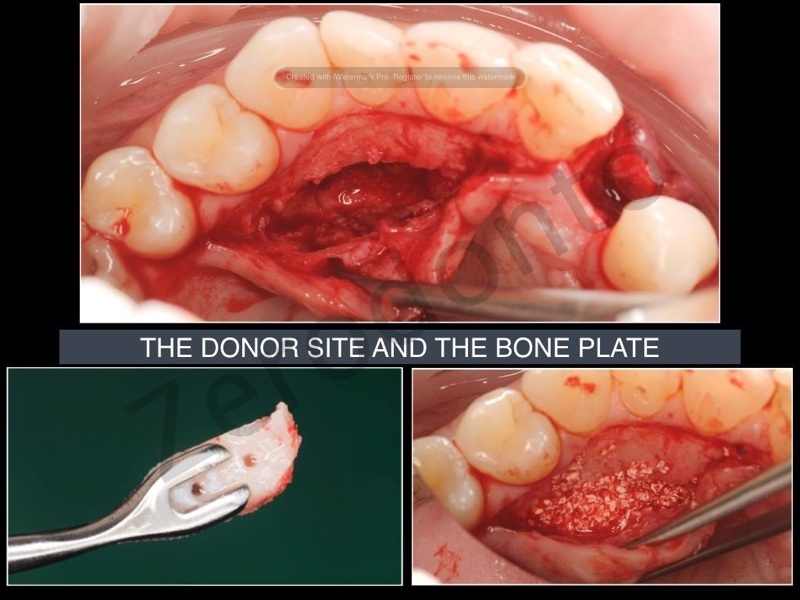 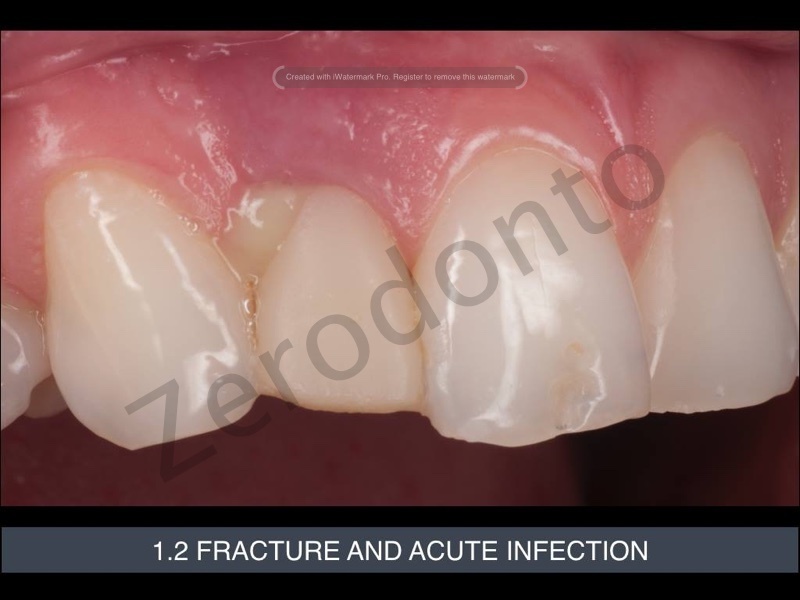 Stage1: extraction and soft tissue grafting, in order to have some extra soft tissue for bone grafting coverage. 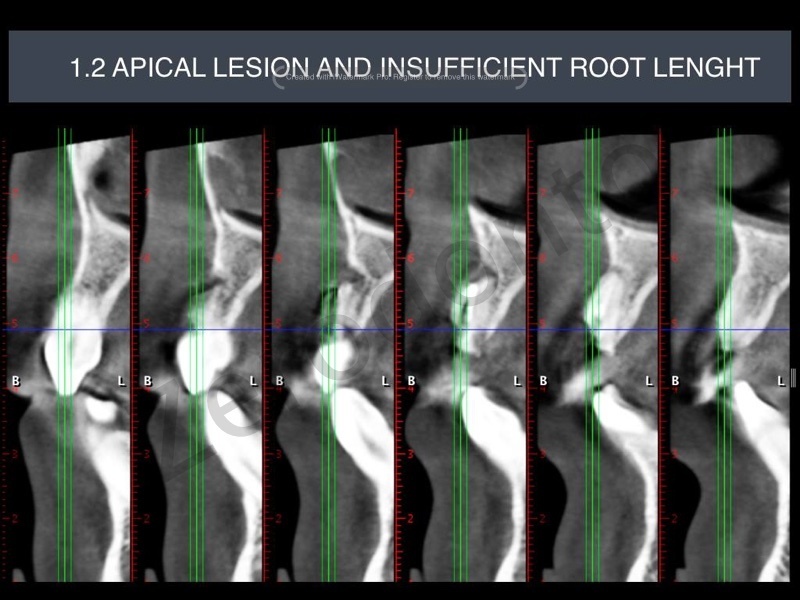 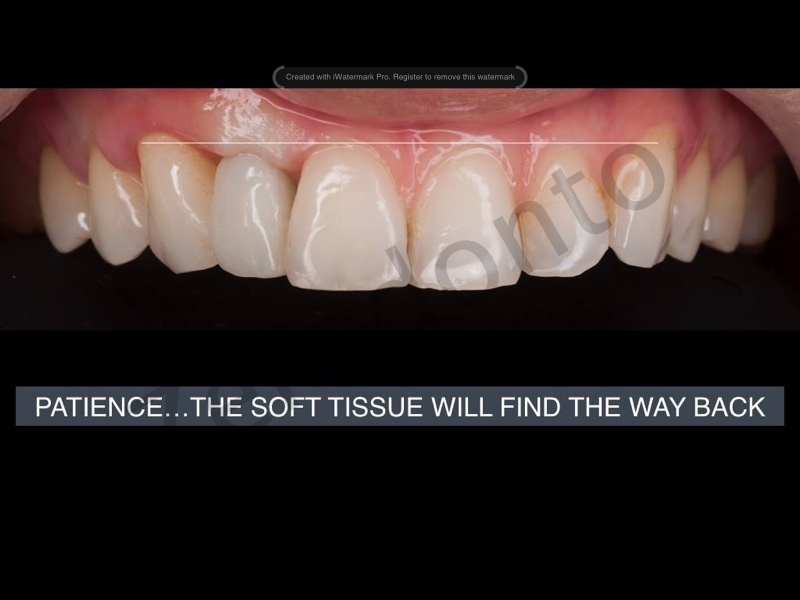 The disadvantage of this approach is the rigidity of the resulted tissue, due to scar formation. 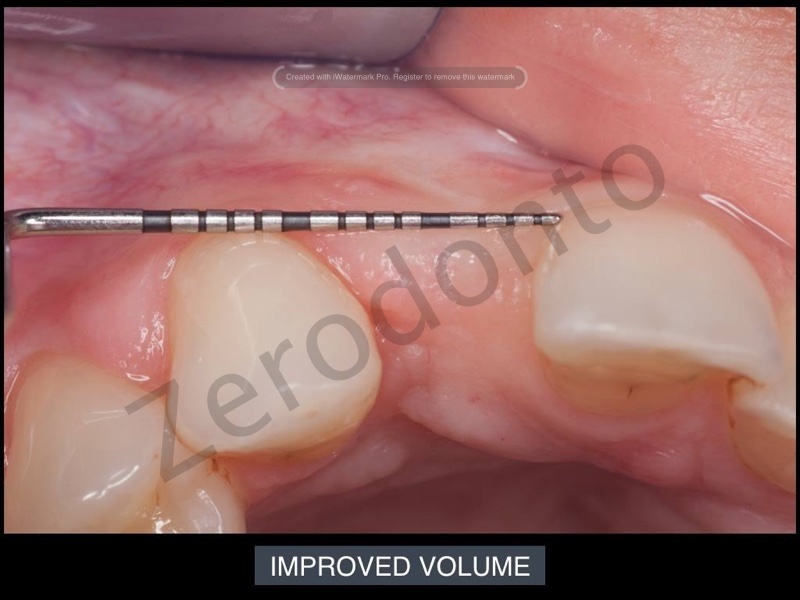 But the volume will improve. 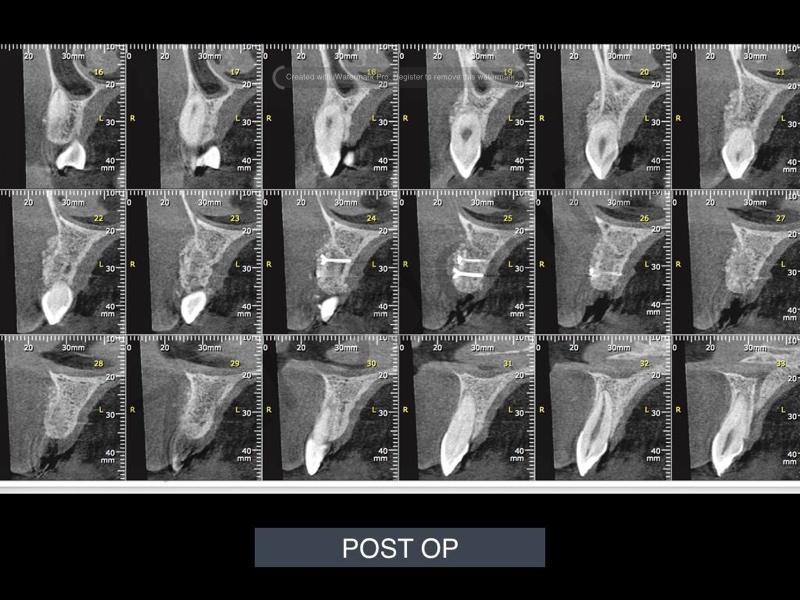 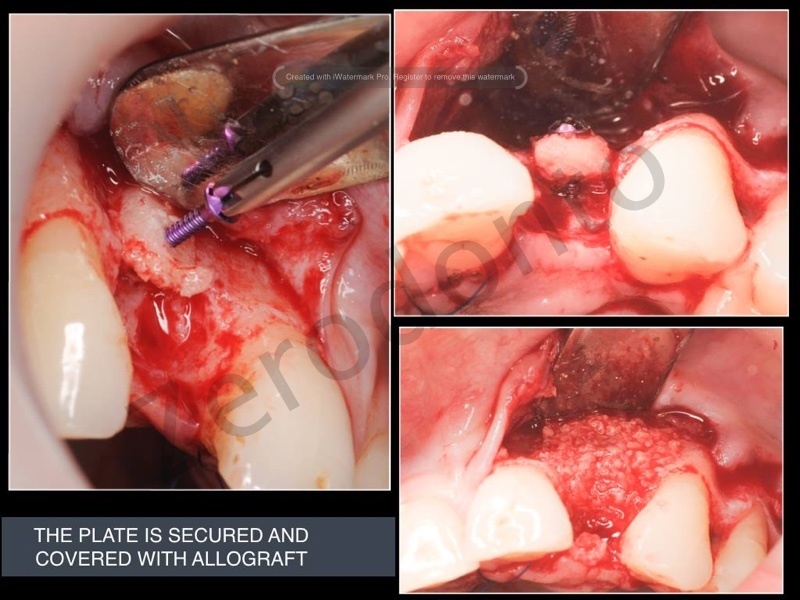 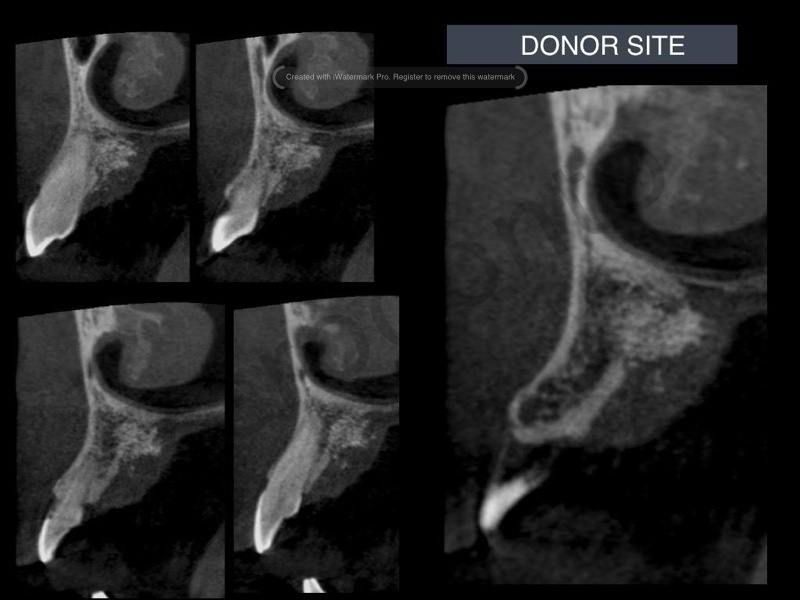 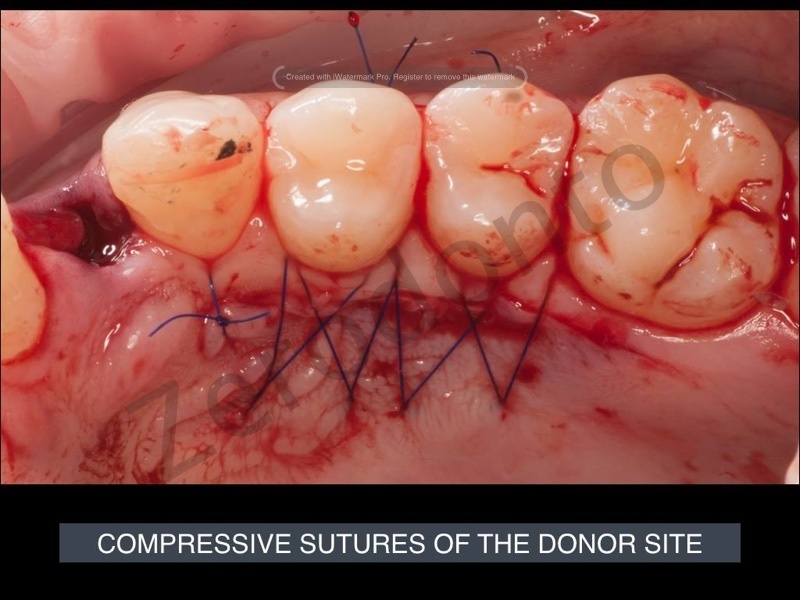 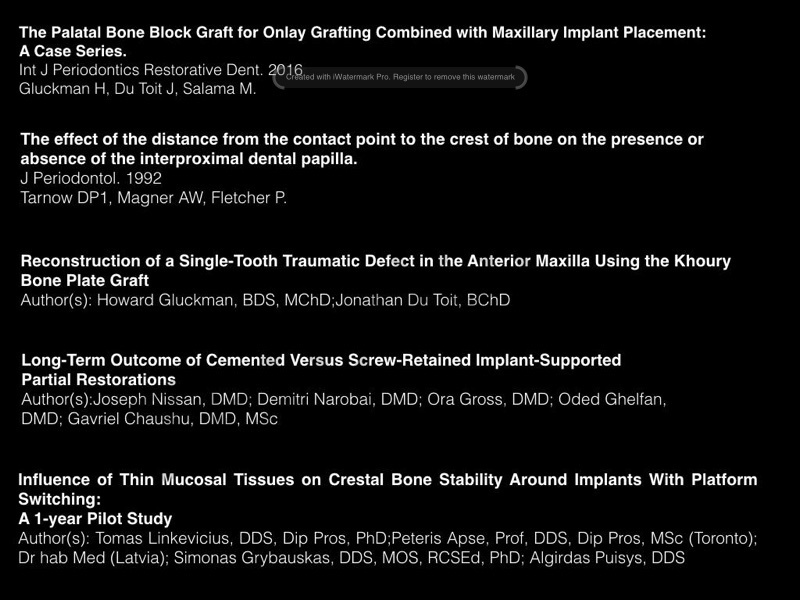 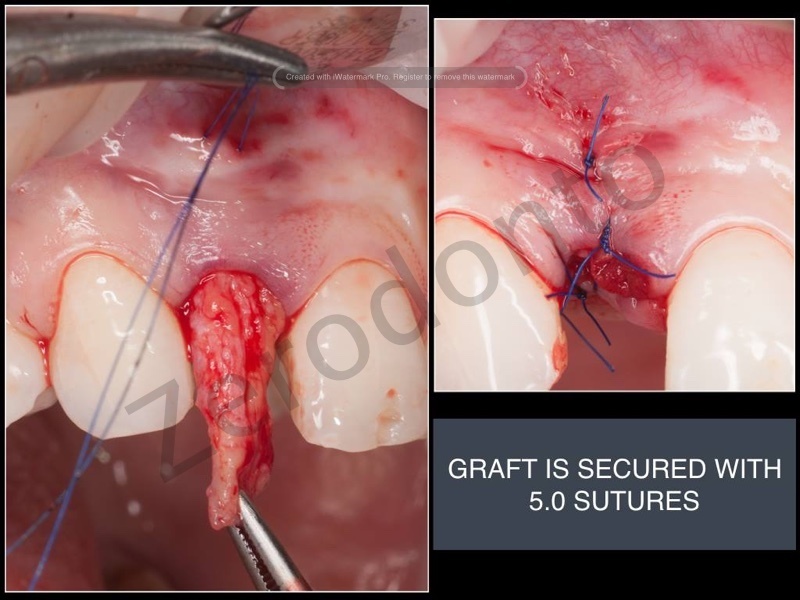 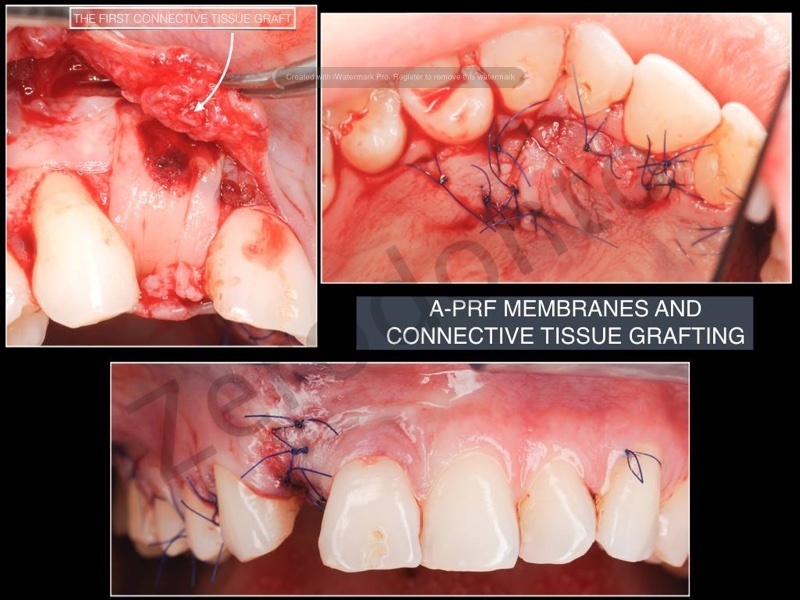 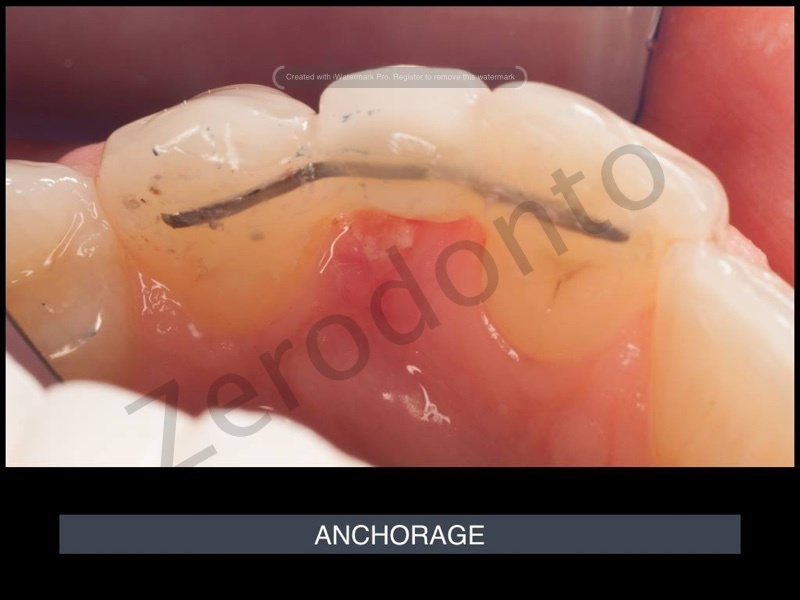 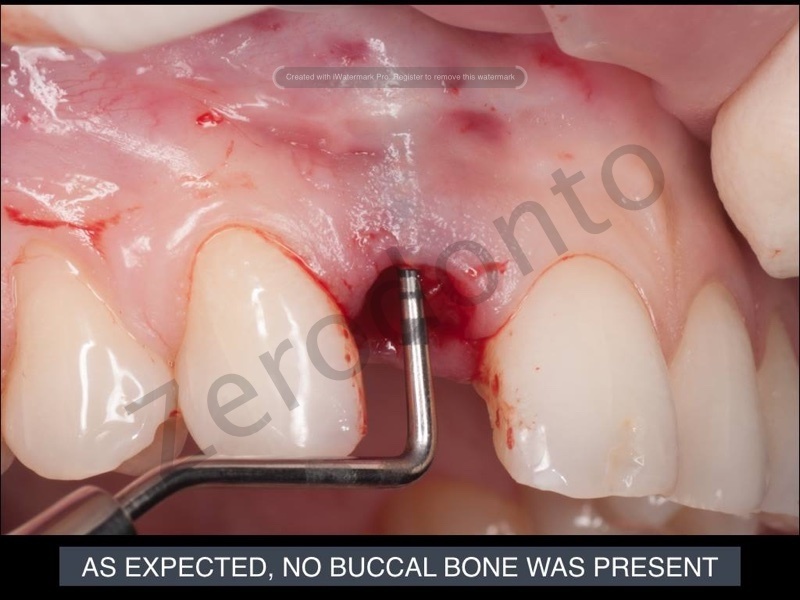 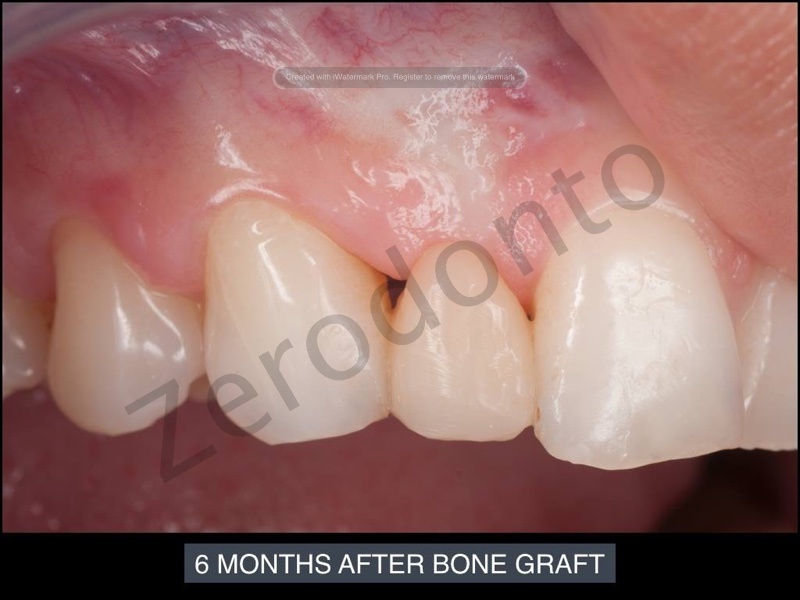 Stage 2: Autologous bone grafting, with a cortical block from the palatal area + another soft tissue grafting. 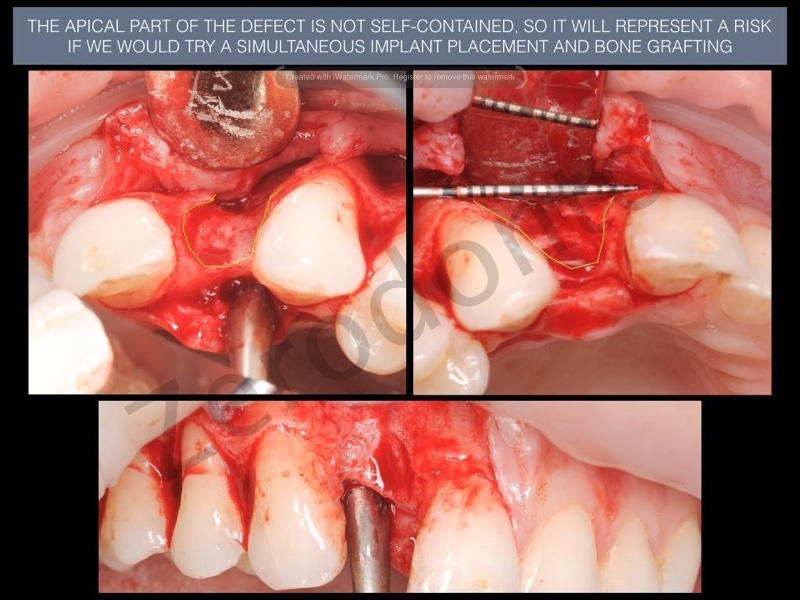 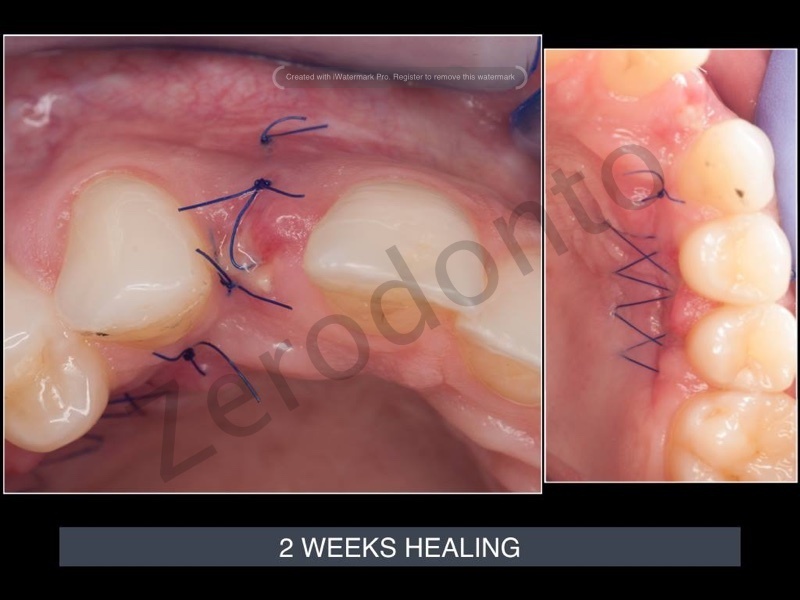 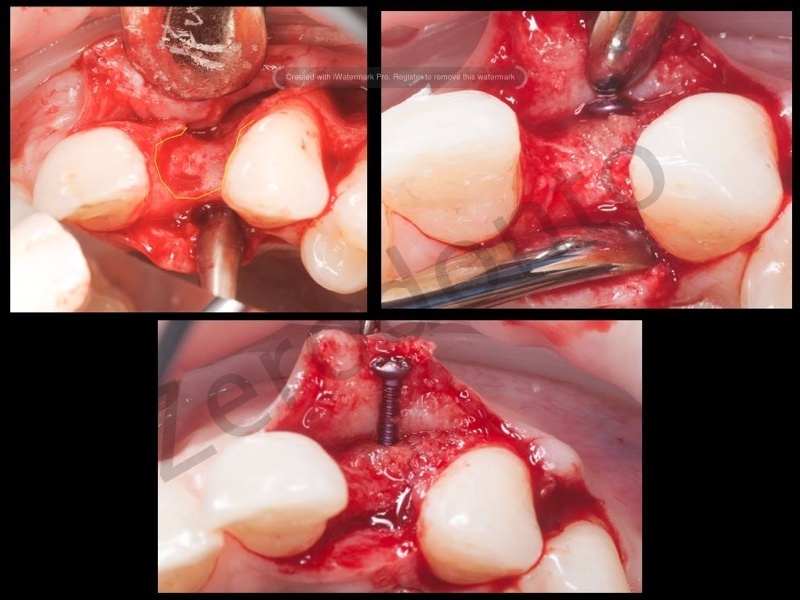 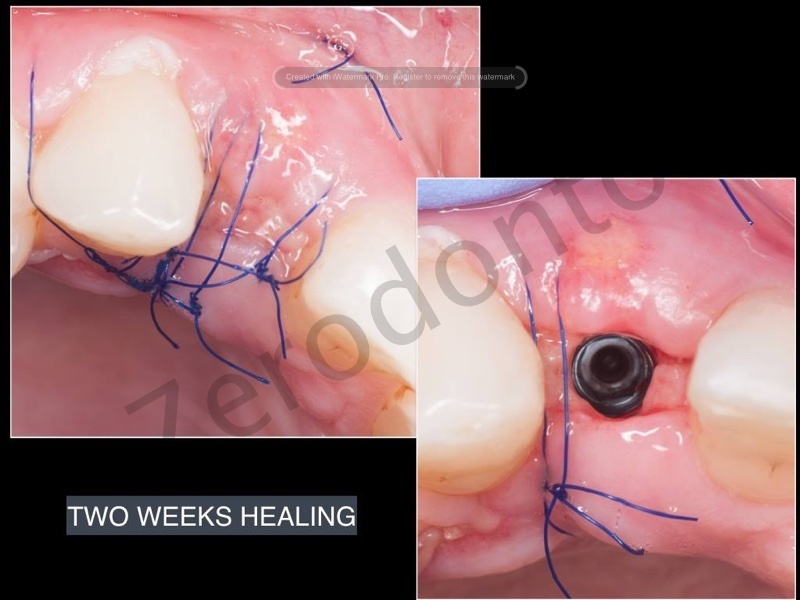 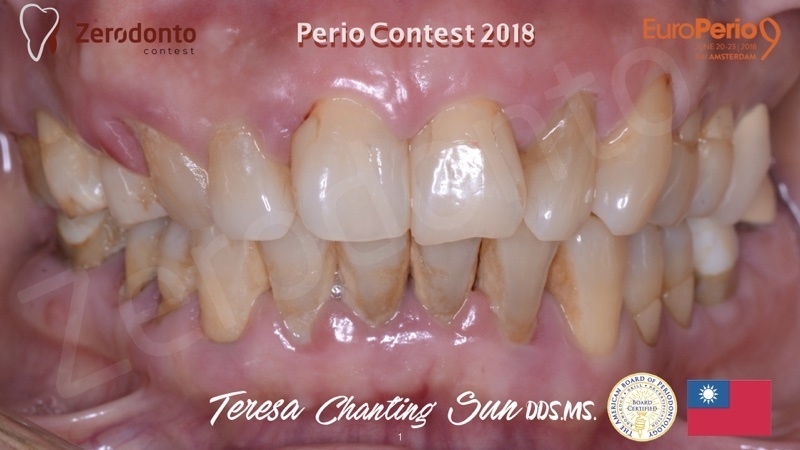 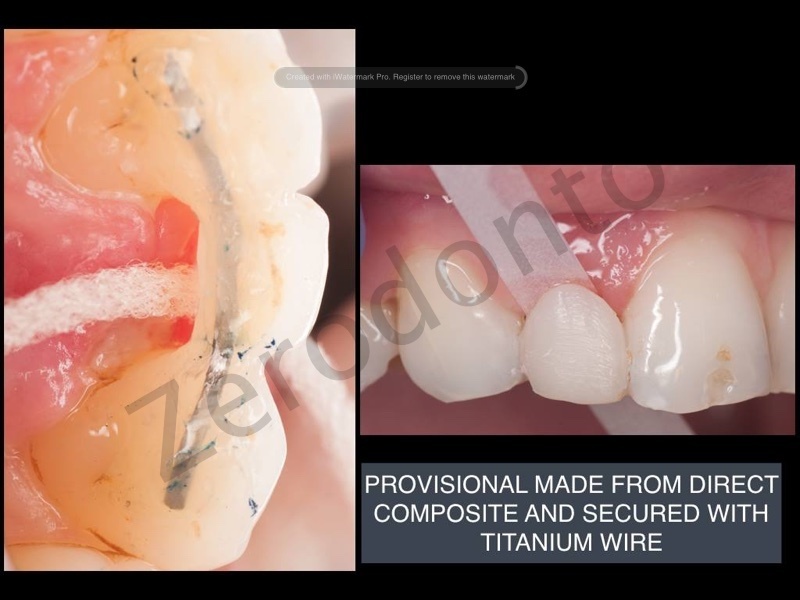 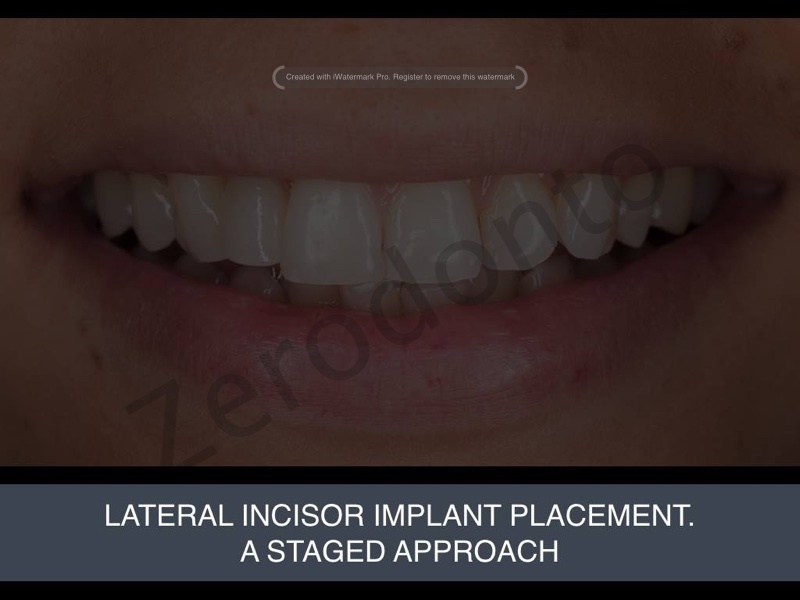 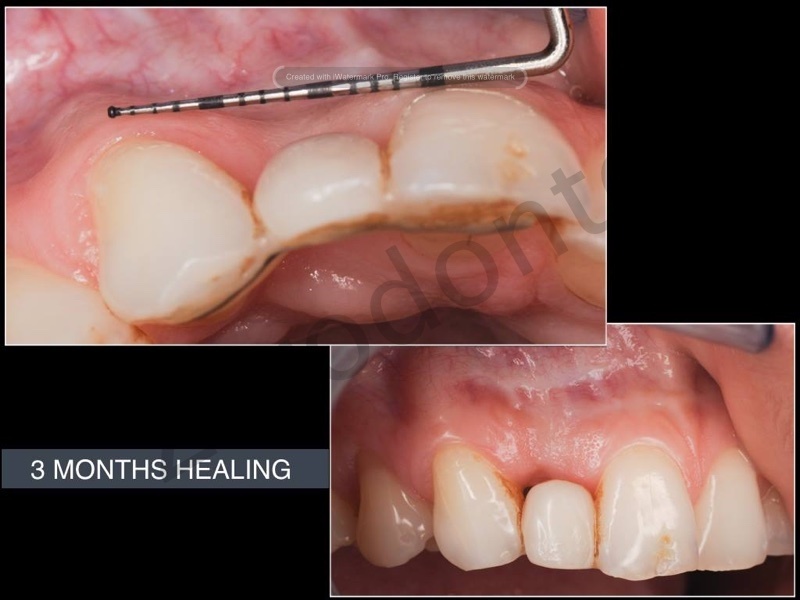 Stage 3: After 4-6 months, the implant placement and another bone grafting, only this time using a slow resorbable material, like bovine bone.Also, at this stage we did a provisional crown, without occlusal contacts, for soft tissue improvement. 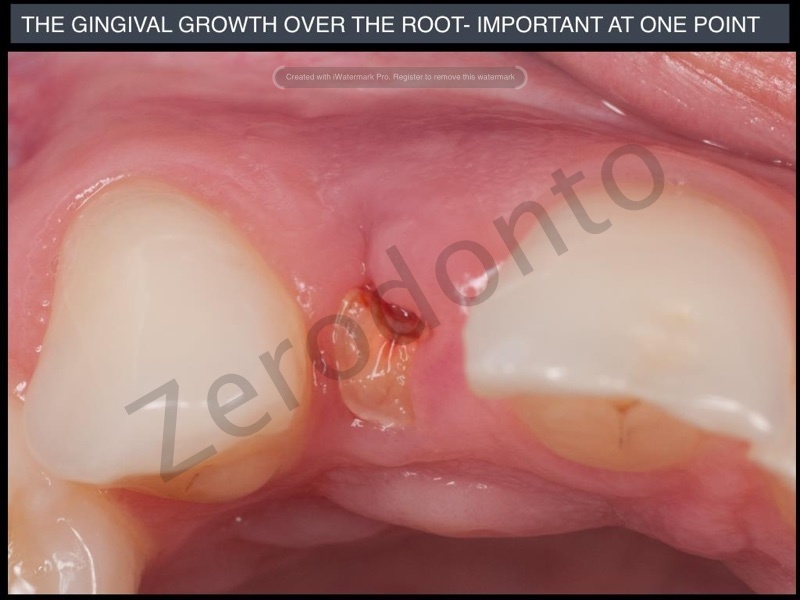 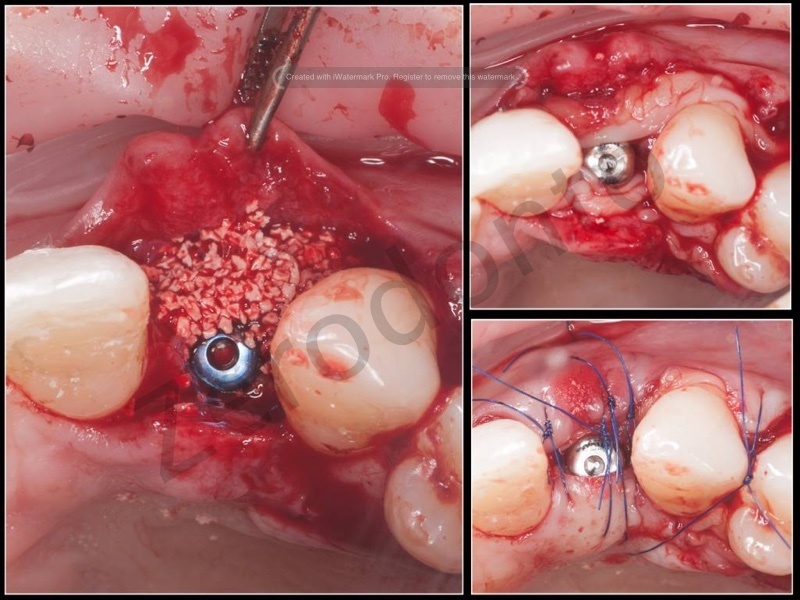 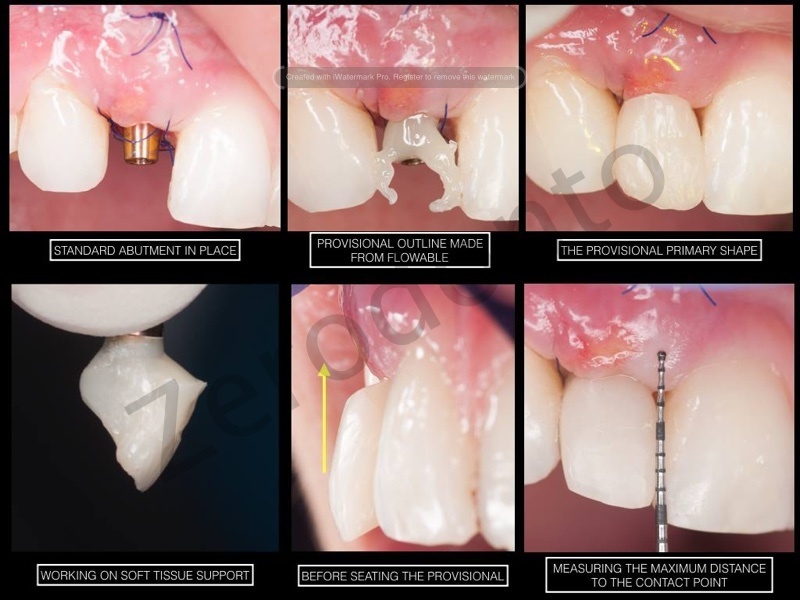 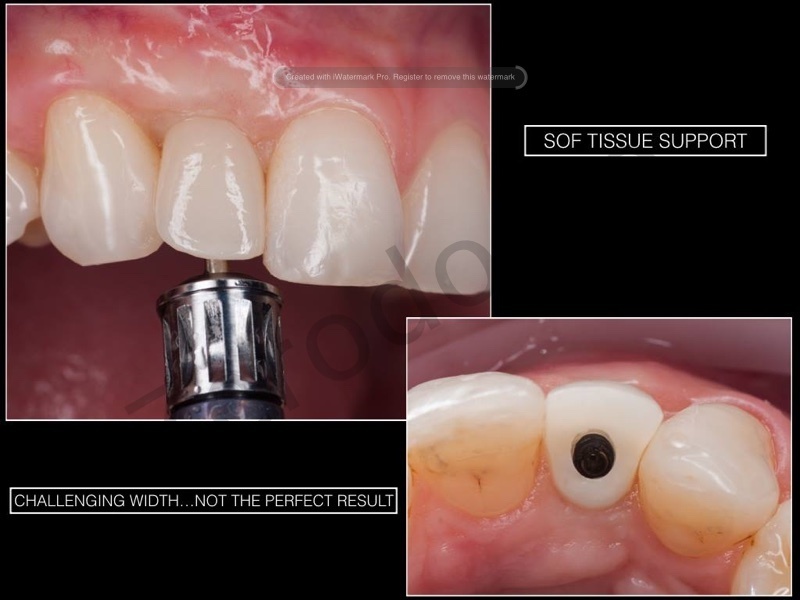 Stage 5: Final prosthetic crown, screw-retained. 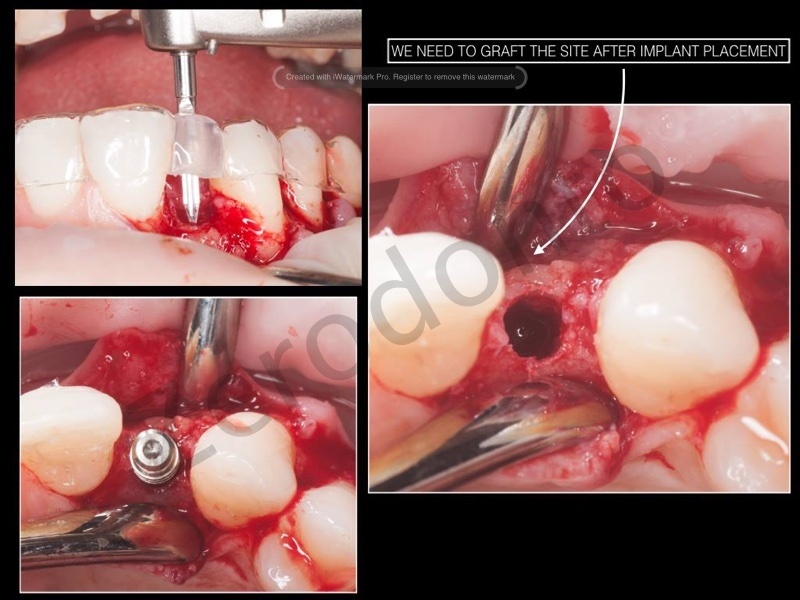 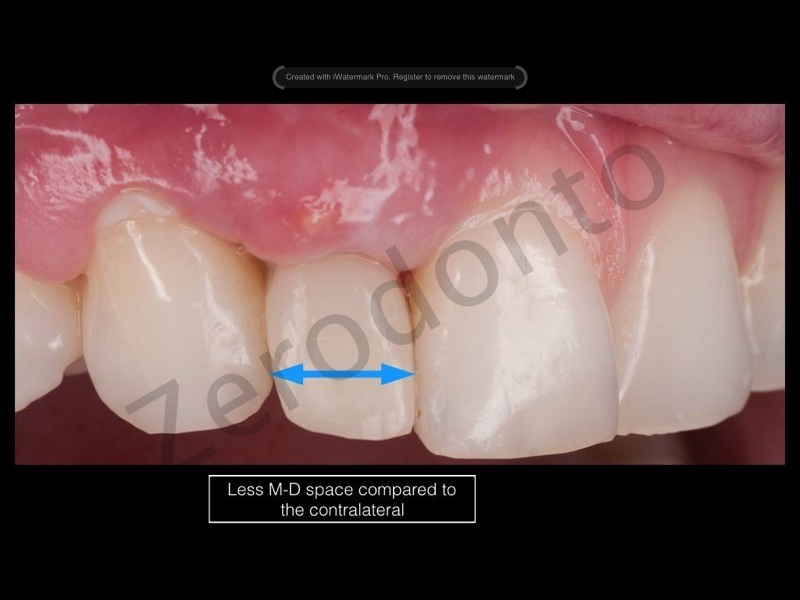 because the M-D space was smaller than the contralateral, i had another issue with the shape of the crown, not to mention that the patient wanted a more straight crown. 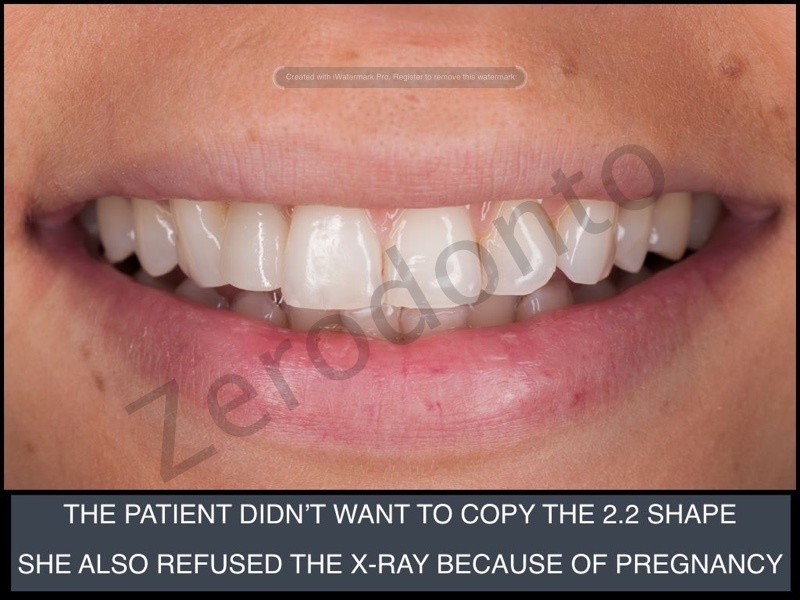 Unfortunately i don’t have the final radiograph, because she got pregnant between the Stage 4 and 5. 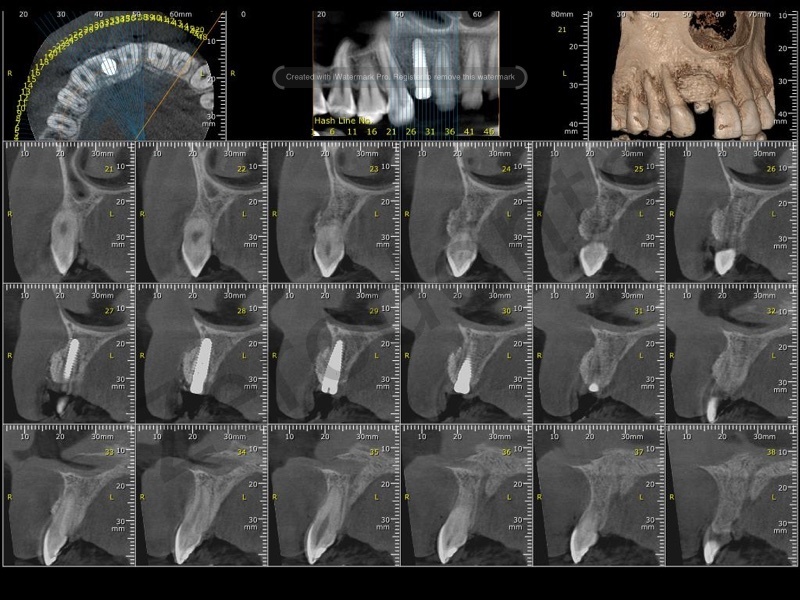 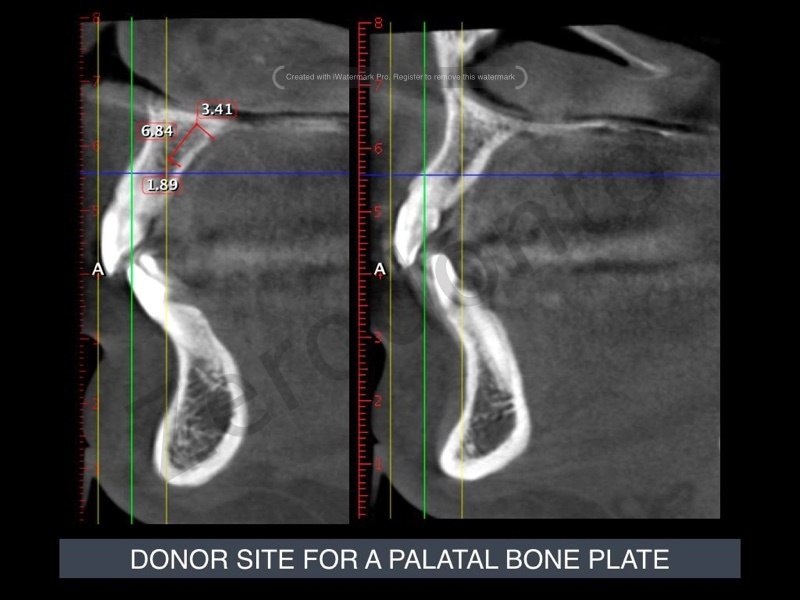 A follow up with radiography will be available in 2-3 months.